For my first pass, I had drawn circles on the gasket paper and then as carefully as I could, cut them to shape with sharp scissors and/or a sharp knife. The results although useable were not great. When it came to cutting the bolt holes, I used a hole punch, the sort that can be picked up in any Motor Factors for this very purpose. Again, the results were useable but at best crude. The method explained to me is very different. 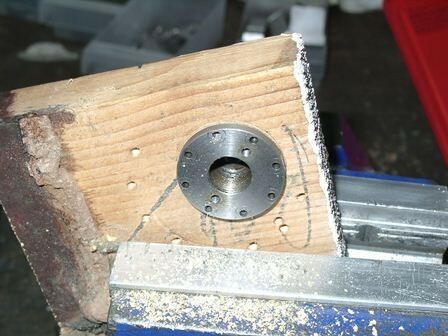 First take a piece of mild steel bar, turn to the inside diameter of the gasket (so, for a cylinder cover this would be the register's diameter) and face off leaving a nice sharp edge. 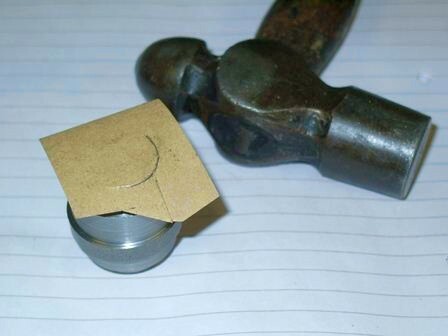 The gasket paper is then held against the face and is tapped all the way around the diameter with a hammer, which gives a nice clean cut. 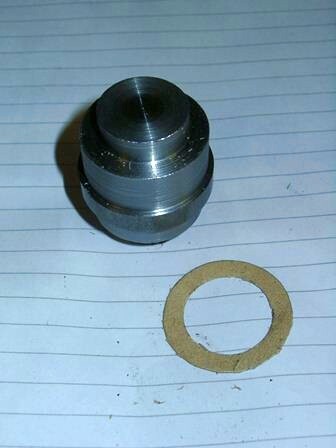 The same process is then applied for the outer diameter leaving a truly circular and concentric gasket. 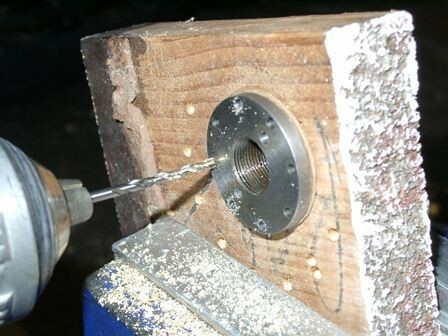 For the bolt holes, a hole of the same diameter as the register is cut in a piece of wood, the gasket is fitted to the cover which is then held tightly against the wood and using the cover as a template, drilled through with a nice sharp drill at high speed. I gave this a go over the past couple of evenings and here are the results. For my Cylinder Valve covers, I turned a lump of BMS with the inner diameter on both ends (obviously the same! 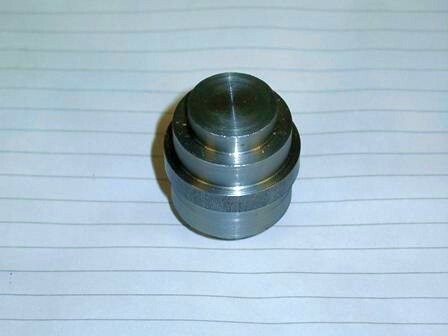 ), but also turned the two outer diameters, one at each end (they are different!). It's worth noting that the sharp edge quickly goes with repeated knockings from the hammer, but that doesn't matter, it will continue to cut nicely. When I drilled the holes, I fitted a number of gaskets in batches. It's not that clear in this picture, but there are four gaskets fitted. 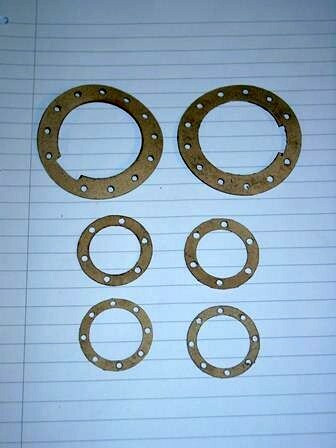 Here's a complete set of cover gaskets for the inside cylinder block piston and valve covers. 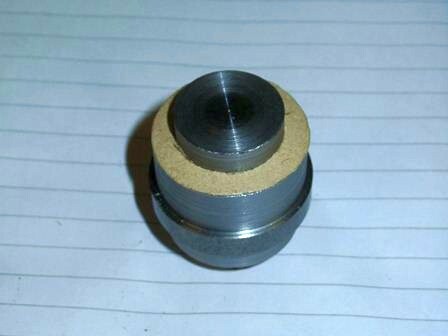 With the cylinder cover gaskets, I cut the outer diameter with a sharp knife using the cover as a template, but the inner diameters were cut as above.